Hospitals in Canada are using light technology to cut down on patient infections and costs. 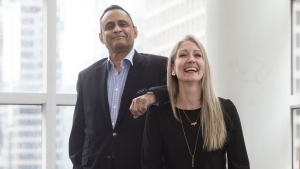 Vancouver General and Toronto East General are two of the first hospitals in the country to use the Canadian-made technology, which uses light to kill hospital-acquired bacteria. In Vancouver, doctors say since integrating the technology into the hospital’s infection control policy, post-surgical infections have dropped by 39 per cent a year, saving the hospital $1.9 million over a one-year period. “That translates to the patient obviously in better outcomes,” Dr. Elizabeth Bryce of Vancouver Coastal Health told CTV’s Avis Favaro. 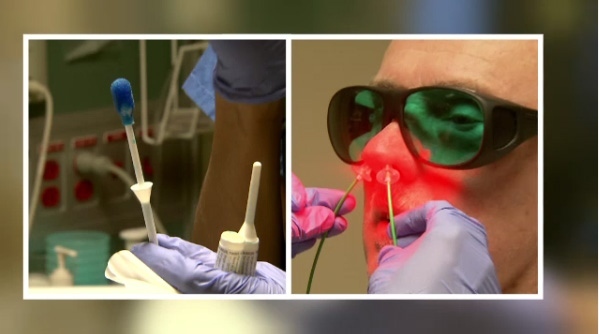 To use the technology, patients’ noses are swabbed with gel containing a chemical that adheres to bacteria. Non-thermal light therapy is then applied to the area, which kills the bacteria and leaves healthy tissue intact. Wong said while antibiotics are traditionally used to kill bacteria, patients’ bodies may become resistant to the drugs over time. Prior to heading into his hip surgery, patient Tom Nicholson was administered the gel, which he admits he found unusual at first. But the 70-year-old quickly adapted. “Afterward, there is a little bit of tingling in your nose, and that’s about it,” he said. Since implementing the light technology, Vancouver General Hospital reports that the rate of patients being re-admitted because of post-surgery infections has dropped to just 1.25 cases each month, down from an average of four. As a result, over the one-year period, 553 day beds were freed up and 138 more surgeries were performed. Vancouver General is also in the midst of a five-month pilot project that uses a light-blasting robot to disinfect hospital rooms. The device uses powerful lights to kill germs and viruses, including norovirus and C. difficile. At Toronto East General Hospital, meanwhile, staff is using ultraviolet light units to disinfect entire rooms at a time. Powis said the goal is to eliminate the rooms from C. difficile -- a bacteria that’s commonly found in hospitals and causes flu-like symptoms, which in severe cases could be deadly. The hospital said it will know in approximately six months how effective the room-cleaning UV technology is at curbing patient infections. Doctors at Vancouver General Hospital use UV technology on a patient before surgery.